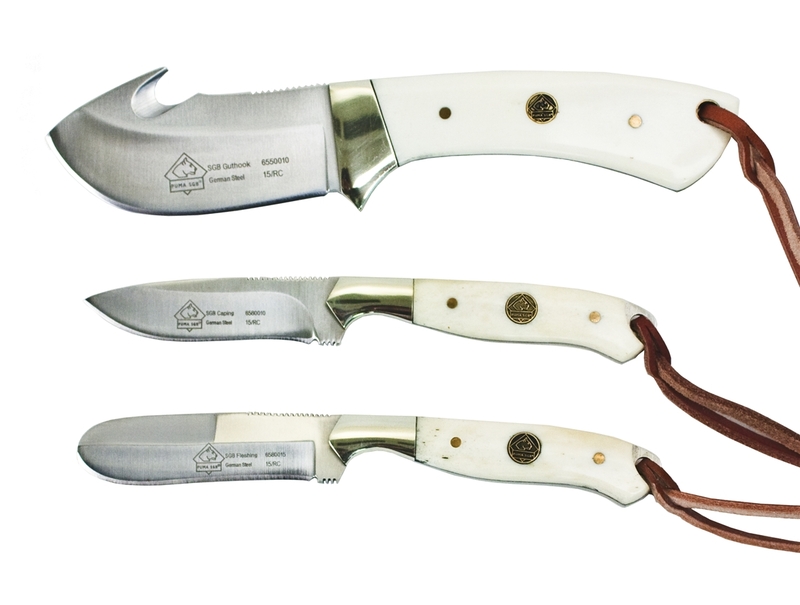 Whether you are in a drop camp in Montana, or your garage, the Puma SGB German blade trophy care set will take care of all of your skinning, caping, and fleshing needs. Set includes skinning knife with gut hook, caping knife, fleshing knife, and genuine top grade leather sheath. This set is perfect for getting your trophy ready for the taxidermist.